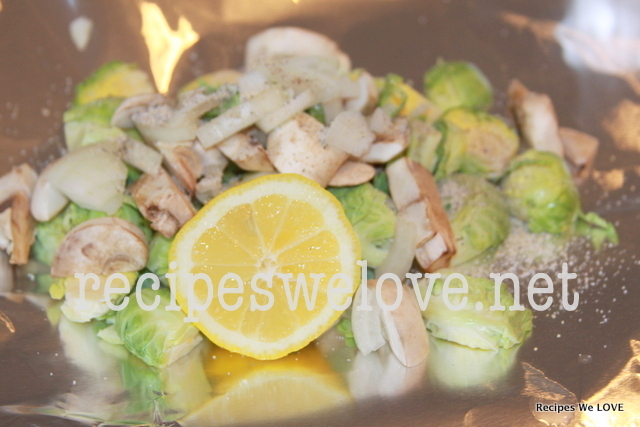 I really enjoy Brussel Sprouts and there is a super easy way to enjoy them when your grilling. 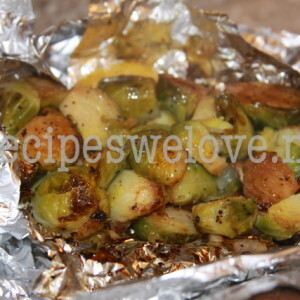 I love grilling veggies on the grill in foil packets. When I do my veggies this way I am able to cook our whole meal outside to keep the kitchen clean and cool and if you have guests you can visit and not spend all your time cooking. 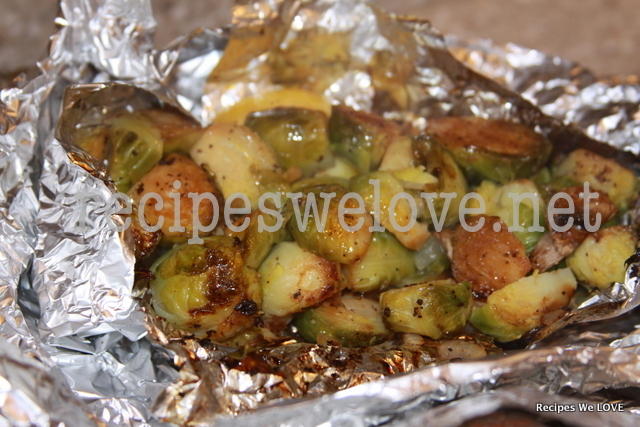 Put everything on a large piece of heavy foil and fold up the foil into a packet and grill for 20-30 minutes.